What do you expect to see on Rightmove rental properties ? Recently Rightmove asked its followers that question. It’s good they are taking feedback from Facebook followers. The full questions was “If you were looking for a rental property on Rightmove, what information would you want/expect to be included from the agent advertising it?” It seems that floorplans and photos are providing the biggest feedback. So we hope these will be considered on the next site update. Rightmove has over 300,000 properties to rent throughout the UK. But the listings don’t always have a all the details needed for rightmove rental properties. As many photos as possible including interior and exterior photos. Room dimensions and a floor-plan. Whether there are any restrictions on the property. Local broadband speed available – Could Rightmove link up with BT and Virgin to document the available broadband speeds? Rightmove have the widest range of property types and styles, from studio apartments to detached family homes. Whether you are a student, young professional or a family, Rightmove is the tool of choice. 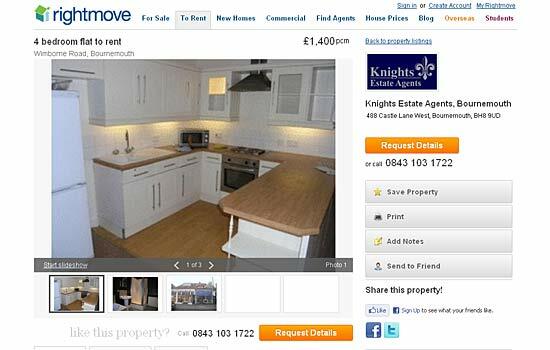 Have you found rightmove rental properties have some details missing?